Of all the countless types of common household pests, there's one that homeowners dread most—wood-destroying insects. A threat to homes nationwide, insects like termites and carpenter ants cause an estimated $5 billion in property damage each and every year. Keep reading now for advice and how to safeguard your home—and what to do if damage has already been done. One of the biggest threats to your home can come in the form of small pests—from termites to carpenter ants to beetles. Often referred to as wood-destroying insects, these pests have an uncanny ability to launch silent attacks on the wood found in the rafters, windowsills, support beams, flooring and other structures used to ensure the stability of your greatest investment. Of all wood-destroying insects, termites are by far the most problematic and economically important in the United States, occurring in every state but Alaska. They are classified into three groups based upon nesting preferences: subterranean, drywood, and dampwood. Subterranean termites are the most destructive termites species, using their scissor-like jaws to chew through wood 24 hours a day, seven days a week. With as many as two million members in a colony, subterranean termites can bite off enough wood over time to collapse an entire building. More alarming, though, is the fact that termites in general cause more than $5 billion in property damage each year according to the National Pest Management Association (NPMA)—a cost typically not covered by homeowners’ insurance. Wood-destroying beetles, on the other hand, are more widely distributed than termites. They are found in every state; however, they come in second to termites in their destructiveness to wood and wood products. The powderpost beetle, which falls into the category of wood-destroying beetles, attacks hardwoods – the same lumber materials used throughout many homes. Another type of wood-destroying insect to keep an eye out for is the carpenter ant. Its name alone says it all. Carpenter ants are found throughout the United States, but they are most commonly discovered in cool, damp climates in the northern states. These ants create tunnels through wet or rotted wood to build their nests. The tunnels are usually found in window frames and doorframes, and crawlspaces under roofs, chimneys, sinks and bathtubs. 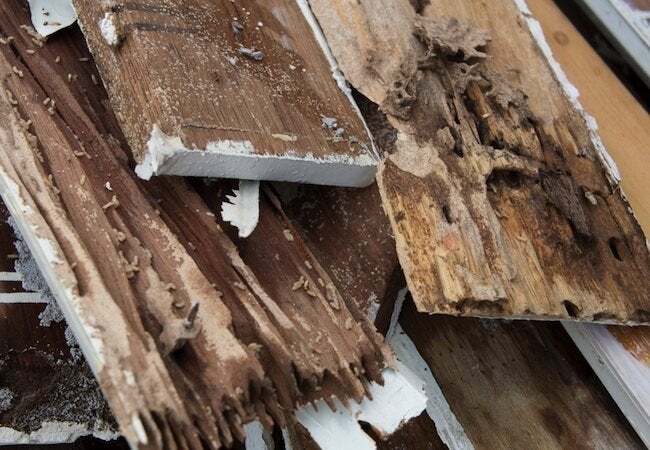 They are difficult to spot with the naked eye, but homeowners may notice small piles of wood fragments and sawdust around the property, both of which are telltale signs of a carpenter ant infestation. • Keep basements, attics and crawl spaces well ventilated and dry. • Repair leaking faucets, water pipes and AC units on the outside of the home. 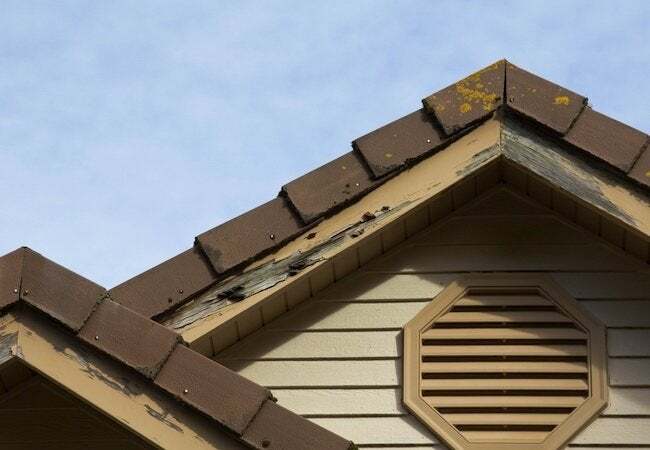 • Repair fascia and soffits and rotted roof shingles. • Replace weather stripping and repair loose mortar around basement foundation and windows. • Direct water away from your house through properly functioning downspouts, gutters and splash blocks. • Remove rotting tree stumps from the property. • Homeowners should have a termite inspection completed every one to three years. Homes with previous termite infestations should be re-inspected every year. • Before finalizing the purchase of a new home, homebuyers are encouraged to obtain a wood-destroying organism (WDO) inspection, separate from a standard home inspection, which assesses only the condition of the home’s physical structure. 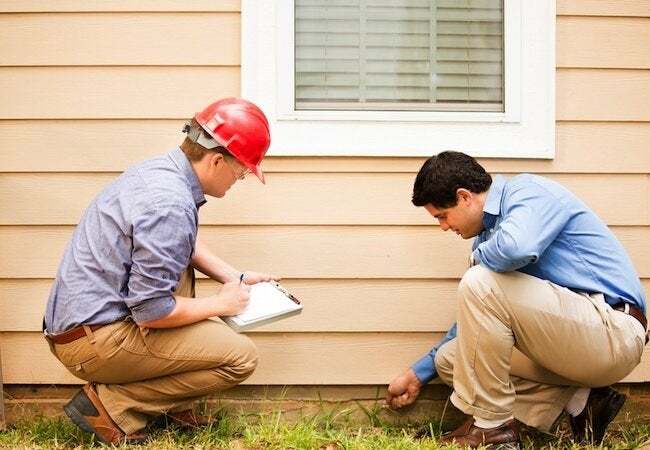 A WDO inspection typically lasts for about an hour, during which time a termite management specialist will probe the home from the attic to the basement for telltale signs of termite damage and conditions conducive to an infestation. Given the severity of damage that these types of pests can cause to the home, and the huge expense that comes directly out of the homeowner’s pocket, it’s important to contact a licensed pest control professional at first indication of an infestation. Don’t wait until it’s too late. And better yet, is a regular, recurring inspection to help keep your home pest-free. For more information about wood destroying organisms, other structural pests and to find a qualified and licensed pest professional, visit PestWorld.org. This article has been brought to you by the National Pest Management Association (NPMA).